MJB: Tell us about your new book? What’s it about and why did you write it? I wrote it as a stand-alone prequel to my first novel, A Scout is Brave. I created the character of Joshua for that novel, and I liked him so much I wanted to explore his character further. I wanted to show the readers the world Joshua came from, and what shaped him as a person. In short, I wanted to immerse him in reservation life. I also wanted to write it because I attend powwows on nearby reservations, and it occurred to me a few years ago that no one has ever done anything about powwows. We have all these sports movies about the underdog rising up and winning in the end, wouldn’t it be cool to explore that theme in a competition powwow? So I decided to take Joshua from A Scout is Brave and explore his training as he learns how to Fancy Dance, and at the same time learns about who he is. Finally, I wanted to explore the contrasting views of gay people prevalent in many traditional societies with mainstream Christianity. People don’t know that many cultures not only tolerated gay people, but openly celebrated them. MJB: I’ve been to some powwows out here in California and they are spectacular. I love Native American traditions and thoroughly enjoyed that aspect of your book. So, what makes you angry? People who don’t believe in equal rights. People who think that their religious perspective should be the law of the land. Bullying angers me. Basically, injustice angers me. Oh, and stupid drivers who keep cutting me off on the way home from work. That really gets me mad! MJB: I’m right with you on all counts. Personally, I think most bad drivers are just bullies with cars. So, how important do you think villains are in a story? I think some kind of villain is necessary if you want to keep the reader’s attention. Stories are more interesting if the main character has someone to fight against. I try to write really memorable villains in my stories. In my first novel, A Scout is Brave, Levi was the villain, and I wrote him to be the perfect embodiment of a bully. I’m a little more subtle in Pukawiss the Outcast, because the book has a very different tone. But it’s clear, by the end, who the villain is. I should point out that the villain doesn’t necessarily have to be another person. It could be an inner struggle against your inner demons, so to speak. Those stories can be just as compelling. And often villains are simply an embodiment of those inner struggles anyway. MJB: Are any of your characters in Pukawiss based on real people you have known, especially Joshua and Gentle Eagle? Can you tell us a little about the real people or, if these are wholly made up, what inspired you to write them as they are? Joshua has some of my characteristics, but mostly he’s my invention. I’ve never known anyone like him before. I originally created him to correct some of my own weaknesses. He embodies courage and self-confidence, he’s athletic, and he quickly adapts to new and unusual situations – no matter how terrible or terrifying. He has some of my qualities, but mostly I created in him the person I wish I was more like. Gentle Eagle is his kind-hearted Grandfather, who also happens to be really cool. There is a bit of my own grandfather in him, although my grandfather didn’t have mad guitar skills. The villains are conglomerate characters of people I have actually known – from cold-hearted preachers, to simple-minded bigots, to high school bullies — I unfortunately have had too much contact with them. MJB: I agree that Joshua is a delightful, inspiring, and immensely likable protagonist, the kind of kid we readers want to see succeed. It’s sad you have had run-ins with so many rotten people in your life. I especially noted in both your books the negativity of the Christian characters. They are extremist and bigoted, not in any way reflecting the values modeled by Jesus Christ, and thus give the impression (at least to Joshua in the book) that all Christians are like them. Are these the only kinds of Christians you have met in your life, or do you know any who actually live the faith according to the Christ-model? If you do know any who truly live “love thy neighbor,” was there a specific reason for focusing on the extreme haters? I think I promote a very positive message of God in my book, unless you have a limited understanding of God. God is not Christian, in my opinion. He transcends dogma, and he especially transcends human hatred and bigotry. In that respect, Christianity certainly doesn’t measure up in my novels. But let’s face it, if Christians interpreted the Christian message the way you do, then the past 2,000 years would have been very different, and my Ojibwe protagonist wouldn’t be living on a reservation where they are trying to preserve what’s left of Ojibwe culture. My Christian characters are not extremists or out of place for the Midwest, especially in the small rural community where Joshua is from – they are mainstream. In short, yes, those are pretty much the only kind of Christians I’ve encountered—from the small conservative Christian farm town in which I grew up, to the conservative Christian college I went to, to the conservative school in which I currently work. If anything, I give my Christian characters more humanity that the people I actually knew deserve. Currently, I can’t even tell people around here that I’m a published author, because I’d be fired in a second by the conservative Christian administration that always talks about God’s love and family values. Imagine being a published author and not being able to tell anyone? And it’s not just bigotry toward gay people. Religious differences are highly suspect as well. Having said all that, I’m deeply religious, or spiritual, whatever word you want to use. And I try to demonstrate a love for the spiritual in my novels. You can’t read my novels for very long without picking up on that. Christians have taught gay people that God hates them for thousands of years, causing many gay people to turn away from that message. The greatest crime Christians have committed is taking God away from gay people. I’m trying to give him back. It may not be the Christian God though. But it’s a much friendlier one. MJB: I guess growing up in California is way different. I grew up Catholic and even as a child when the dogma was much more rigid, never once did I hear priests or nuns or other Catholics or my parents speak ill of gays or minorities or even other religions. So growing up I accepted everyone at face value, and still do. For me, that’s the Jesus I came to know and accept. Sadly, as with all religions, over the centuries people have put in their own prejudices and agendas and corrupted the original message. Kids should know the beauty of all religious faiths, including Native traditions, which I personally admire. There’ve been far too many people dragging the Creator’s name through the mud, and those of us who understand that must fight to change it. Moving on, Pukawiss takes place in 1998. Are the Ojibwe youth of today, like Mokwa in your story, as accepting of gay, or two-spirit, youth as he was in the book? What about other tribes? On modern reservations, are gay youth treated with respect like in the old days when two-spirits were considered touched by God? It really depends on which reservation. The one I based the book on is a real place, although it is not mentioned by name. The very first gay-positive person I ever met lived on that reservation. Her name was Linda, and she was part Lakota, who lived with an Ojibwa man on the Rez. I also met a Midewin on the Rez, who rejected the judgmental attitudes of Christianity with respect to gay people. It was such a shocking contrast to the world in which I grew up. Having said that, homophobia is also still a very sad reality on many reservations that have succumbed to over a century of missionary attempts to suppress the two-spirit tradition. MJB: Without giving too much away, I loved how you helped Joshua accept and love himself by having him learn about the outcast, Pukawiss. That was very affirming. I love dreams in books, and often use them in my own. Prophetic dreams are a big part of your story because they are a big part of Native tradition. Have you ever had a dream that turned out to be prophetic, even in a small way? Do modern Indians still treat their dreams as messages and act on them accordingly? My story definitely has a lot of supernatural elements in it, as does its sequel. Since the book immerses the readers in Ojibwe life on the reservation, I felt I couldn’t do justice to the story without demonstrating how pervasive the supernatural, the mystical, whatever you want to call it, is on the reservation. Traditionally, it would have been normal for Joshua to be both a two-spirit and a powerful dreamer. The two went together. Dreams were considered messages from the spirits, and gay people were especially adept at listening to and interpreting them. Joshua’s two-spirit status would likely have been revealed to him in a dream in earlier times. And yes, part of that is still there on the Rez today. The power of dreams is especially prevalent and is a central element in the story. The lead character, Joshua, discovers that through dreams, he can peer into the future and capture brief, often puzzling, fragments of what is to come. I believe there is a larger reality beyond the one we know about – and that one can access it through dreams. I have had many experiences with dreams of my own – both fascinating and terrifying. A lot of the stuff involving Joshua’s dream reality, especially in the sequel to Pukawiss, were dreams I’ve actually experienced. If the storms seem vivid and real, it’s because I was describing what I’ve known. My name, Jay Jordan Hawke, by the way, was given to me in a dream. I’m not kidding about that. Absolutely! A lot of what I described in the book comes from things I’ve experienced on the Rez. Ritual and ceremony are not for special occasions, they are practically an every day occurrence. And it all comes without the hateful dogma that so characterizes the churches I’ve been to. It’s pure God, without all the hate. MJB: It would be a powerful experience, for me, at least, to witness some of those ceremonies. We tend to think we know everything with our technology and science, but there’s so much we can learn from the old ways if we’re willing. I love the naming ceremony and the whole concept behind it. Wouldn’t it be cool if we could all be given names that befit our nature? Okay, I’m rambling. Ha! Next question: if you could have a dinner party and invite anyone dead or alive, who would you ask? I tend to side with the underdogs of history, the people who lost. In that spirit, I would love to have dinner with Tecumseh. Tecumseh was a Shawnee leader, who managed to unite the tribes of the Midwest to defend it from the expansion of the Americans onto their lands. He even allied with the English, who he fought with during the War of 1812. Tecumseh also stands out as someone who transcended his time. He abhorred torture of prisoners, for example, and would order his followers not to harm white captives. You got to respect someone like that. Besides that, maybe Alexander the Great if only because he could give Tecumseh some really good battle strategies that may help him when he returns to his own time. Oh, and Harry Styles. Tecumseh, Alexander the Great, and Harry Styles – what a dinner that would be. MJB: Ha! Yes, those three together would be the YouTube download of the century. Funny you mention Harry Styles because he has a recurring Twitter cameo in my Children of the Knight sequel tweeting messages of support to my main character who is being harassed by the media. And then he has an actual cameo in the third book. Not sure he’ll make it into the final release versions, but he seems like a good guy who doesn’t let any of the media nastiness get to him. Okay, lastly and most importantly, is there a message in your novel that you want readers to grasp? I would like my readers to understand that the stigma against homosexuality is the only thing that is not natural. It is also not universal. 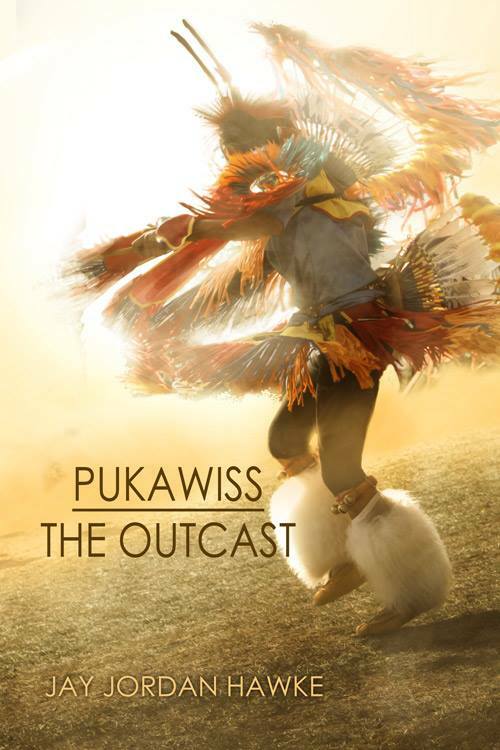 Pukawiss the Outcast celebrates a very common Native American tradition that venerates gay people. It may seem like the whole world, and all of history, is against you. But that simply is not true. Imagine living in a world where as a gay person you are considered something extra special—that you are in fact touched by God. That’s a radically different world from the one most gay teens grow up in today. I want people to see what that is like through the eyes of my teen protagonist. MJB: Thank you, Jay, for a fascinating and very honest interview. Personally, I hope you meet some followers of Jesus, as I have, who actually embody the faith, and people in general who are not so narrow-minded period! Sadly, politics is all polarized, too, because both the left and the right are convinced all of life’s answers come from a single playbook when most of us live our lives in the middle. Human nature is far too complex for any one-size-fits-all dogma. What we need in this country, and this world, is balance, something the Native traditions extolled. Unfortunately “balance” seems to be a dirty word in the 21st Century. Take care, Jay, and please, give us more Joshua stories! You can purchase Pukawiss the Outcast from Amazon, Barnes and Noble, or the publisher, Harmony Ink Press. It’s a great read! Am I crazy? Perhaps. But hear me out first and then I’d love to get comments from fellow authors on this subject. And readers, too, since we write for you, after all. I’ve just spent the past year and a half living with the fictional characters in my massive, 721,440 word Children of the Knight trilogy, after having spent twenty years on and off (due to that pesky thorn in the side called work) developing the series. 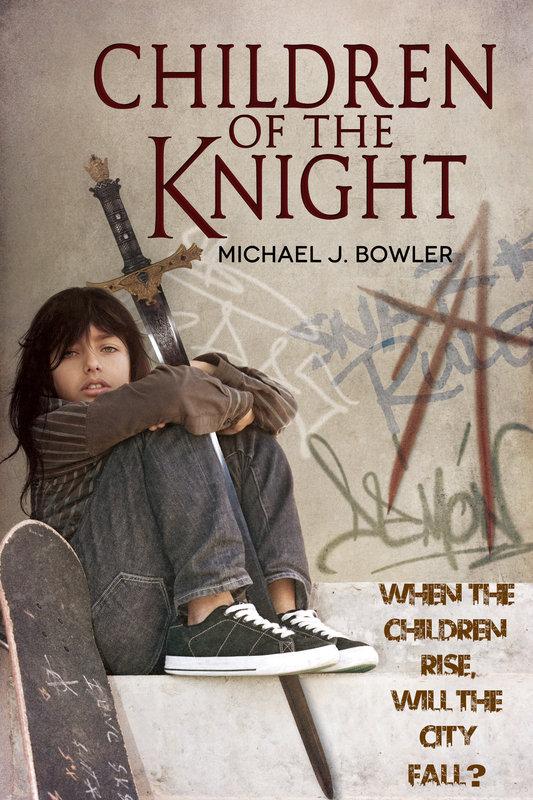 The first volume, Children of the Knight, is available from Amazon and the other usual suspects. Part II, Running Through a Dark Place, comes out in May or June, with the finale, And the Children Shall Lead, slated for fall. This story is one long book broken into three parts to make it less daunting (and less expensive to publish and buy – Ha! ), so to say I’ve lived with these characters 24/7 is an understatement. And yes, as difficult as it may be for people to comprehend, those characters lived and breathed and directed their own dialogue and their own actions. I, as the author, merely wrote what they wanted me to write. I know, crazy. Except it’s true. As the author, I very much created the plot and laid out the storyline and decided who my characters would be, both main and supporting. I knew how the trilogy would end before I even finished the first part. Did I know every single scene ahead of time? Of course not, though I did have an outline of the entire epic to work from. But here’s the rub – once I selected my characters and got to know those characters and then set them loose within my chosen plot, well, they just took over. This series has a huge cast of characters to juggle. Most are teens or children, but there are also many adults of varying ages and from different walks of life. The teens are all unique, each with his or her own back-story and life experience. Thus, they don’t talk or act the same. I really hate any YA literature these days wherein the children (especially middle school age kids) talk and act like adults. It’s not only preposterous, but it perpetuates the notion that kids can think like adults, and that idiotic notion has slipped big-time into our so-called justice system, resulting in some states putting children as young as seven into adult court if those children commit a crime. Kids can mimic adults, yes, but they do not have the fully formed brains and rational thinking capacity of adults, and an author needs to keep that biological fact in mind when writing. But I digress. Sorry. Anyway, once I got to know my characters, I pretty much let them run the show. I’d be at the gym on a treadmill or using the elliptical machine, and thinking of the next scene or scenes I was going to write when I got home. I’d picture in my mind what had to happen in the scene and which characters would be involved, then simply let it play out. And damn if it didn’t unspool in my mind like a movie! Not ever did I consciously compose a single line of dialogue. The kids talked and responded as they would have had the situation been real life, and all I had to do was either write it down at the gym or keep playing the scene back in my mind until I got home and then transcribe it. But the bottom line is, I let them tell me what they wanted to say. That’s not to suggest I didn’t change up some of the phrasing later on, but the essentials of what they said remained intact. Readers ask how I came up with Lance’s little catch phrase, “Damn straight,” and I don’t have an answer. Or Reyna saying she couldn’t take orders from a boy younger and prettier than her, and then reusing that line to jibe Lance from time to time thereafter. Or Lance calling six-year-old Chris “little man” and everyone else gradually following suit. Or why Jenny tells Arthur, “That’s the great failure of our society–too many adults who want to act like children and too many who expect children to act like adults.” The list is endless and the only answer I can give is that those characters wanted to say those things that way at that moment, and so I let them. Even while sitting at the computer, I’d type out a scene and let characters have their way with each other and respond to the circumstances in which they found themselves, then I’d go back later to reread what I had written and wonder where it all came from. Often, these scenes played out perfectly, the dialogue completely organic and exactly how Lance or Reyna or Arthur or Jack or Mark or Esteban or Jenny or Chris would have responded. It was definitely Stephen King-esque. Then, after concluding each book, I’d go back to revise, and more often than not laugh or feel choked up with emotion at what a character said or did, knowing that I’d written the scene, but never quite understanding how it came off so seamlessly, or why I couldn’t even remember actually composing it. Okay, I’m weird, but I’ve known that forever. Maybe that’s why I’m a writer. Ha! What I also found interesting was what happened when I tried to get a character to do or say something he or she clearly didn’t want to do (in other words, would not do in real life.) Those scenes felt empty and wrong, though I didn’t always understand why at first. In Children of the Knight, there’s a scene I can’t describe because it would be a spoiler, but my main character, Lance, kept telling me he wanted to do something in the scene, and I kept resisting. In the first few drafts I fought to have it my way because I worried how readers might react to the scene. But Lance is nothing if not determined. Growing up on the streets had made him so. He kept insisting I let him do what he wanted, so I finally relented. The scene now feels very natural, real, and quite touching, and thus far no readers or reviewers have objected. See – the character always knows best. In saying all of this, I don’t always see this same attention to character continuity and reality in books I read, even from bestselling authors. A character in these books will suddenly act out or make a decision completely counter to who he or she is, apparently to further the plot, and those anomalous behaviors always jump off the page at me and pull me right out of the story. At that point, the author has partially lost my allegiance. In most books, the plot, or storyline, if you prefer, must dictate the flow and pacing, but it should never force a character to act counter to himself or herself for the sake of a plot twist, or more commonly, a plot contrivance. Characters are supposed to evolve and change over time, depending on what events befall them, but those changes should be gradual and come across as organic and believable or the reality of the human being is lost. That’s my whole point. I could give specific examples from bestselling books, but I don’t want to dis a fellow author or the book editor, though it seems to me a good editor should have pointed out such an egregious faux pas to the writer and politely insist it be corrected. Oh well, the books are hits so what do I know, right? If you’re a new writer you may be asking yourself, how do I get to know my characters? Well, how do we get to know anyone – by listening. Many writers start with Fan Fiction on the Internet, writing stories using characters they already know from some TV show or other. As a teen I often did that myself, though there was no Internet to post them on back in the day. Ha! But I knew those characters from watching them and, more importantly, listening to how they talked and interacted with others. The same principle holds true for characters of your own creation. Of course, it’s important to have at least a basic outline for each of your characters, but you don’t need to know every aspect of his or her life up to the point of your story unless those aspects are relevant to your story. As with all of us, our past experiences – good and bad – inform our choices in the present and often dictate how we respond to certain people, events, or locations. Those are the details you need to think out ahead of time because they will determine how your character interacts with others in your book. Once you have these back stories in your head, including the level of education a character may or may not have had, then their manner of speech, as well as what they say or don’t say, becomes clearer to you with each passing scene. Run scenes in your head as I do, put your characters in place, and then just listen to how they talk, and note how they react to the given situation. Yeah, I guess writing is sort of like having a multiple personality disorder, but in a controlled way. You can’t allow yourself to become Stephen King’s alter ego in his book and have your main character possess you. But if you did, would that be called “method writing?” But I digress again. In any case, “method writing” is not recommended if your main character is a serial killer. Ha! 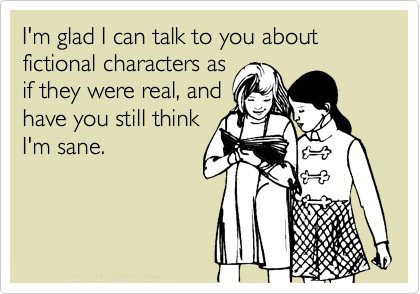 But always listen to your characters, and more importantly, learn from them. I personally spend an inordinate amount of time revising my books, especially the really long ones, because I want that character consistency and plot continuity that I’ve relished in books I love. I want everything I set up to pay off satisfactorily for the reader, even if that pay off comes in the second or third book, and the worst comment I feel I could ever receive would be that one of my characters acted in a way I never set up (or should I say, the character never set up.) Thankfully, I’ve not gotten such a comment yet, and hopefully never will. While readers might not be conscious of characters bending to suit the plot, it’s my gut feeling that the books they cherish don’t do this. We can get so caught up in plot that we overlook character inconsistencies, but when all the dots are connected and all the strands woven together seamlessly, a story will live in our hearts forever. This quote from one reviewer on Goodreads helped solidify in my mind all the time I spend making sure each character runs his own show: “The very large supporting cast is quite uniquely developed. Everyone is developed uniquely to suit their role within the novel, without throwing in irrelevant details to bog down the reader. Also, their dialogue and dialects stay consistent throughout. Bowler never trips up on who speaks which way. It made it quite easy to differentiate between characters.” That’s such a fantastic validation, and encourages me to keep taking my time in getting the characters right. So, any comments out there? Agree? Disagree? Feel free to weigh in, especially you writers out there. Some of you write ten books a year. Wish I could do that, but I’m too detail oriented and OCD when it comes to this issue of character and story continuity. I know I’ll never win any writing awards for poetic descriptions or flowery prose, but at least I strive to make my characters live and breathe and be at all times 100% real to the reader. To that end, I trust my characters to know themselves. I don’t argue with them any more. Lance taught me that. I let them be, and they don’t let me down.